Fine motor skills. All those tricky small muscle movements in the fingers, hands and wrists that are so important for toddlers, preschoolers and kindergarteners to practise and refine, so they can develop the strength and dexterity needed for many basic life skills, including writing. Luckily, if you can present the right challenge to the right child at the right time, kids seem to love this sort of delicate ‘work’. They have an inner drive to try, repeat and perfect these skills. 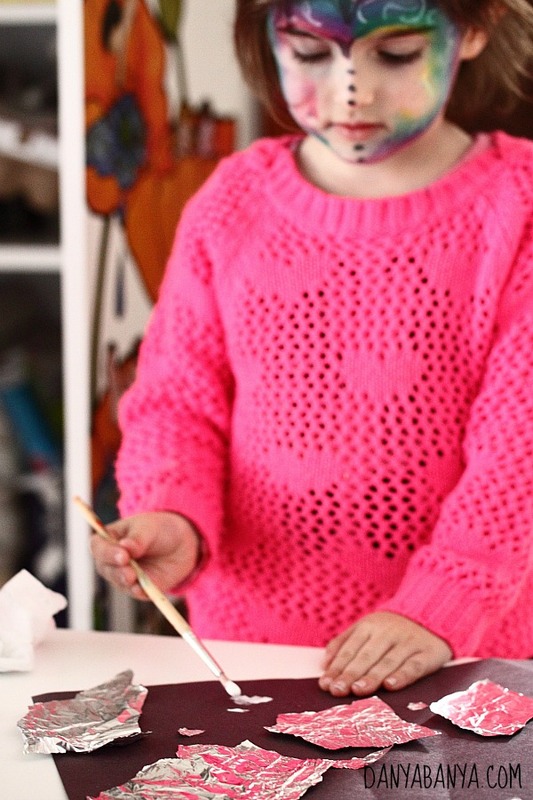 You don’t need a whole host of specialised equipment and materials to give kids the opportunity to practise their fine motor skills. Indeed, there are so many things you probably already have in your own home that would be perfect for a bit of fine motor fun! 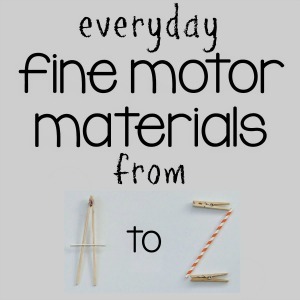 My friend Devany from Still Playing School is putting together a really cool new series with 26 bloggers over 26 days, called Everyday Fine Motor Materials from A-Z. We all know what aluminium foil is, right? It has a few name variations. Many of us Aussies call it alfoil. Some folks (myself included) are a bit lazy and just call it plain old foil. And some call it tin foil, even though the modern stuff hasn’t had actual tin in it for a century or so. (Please note: real tin foil is thicker and stiffer, and apparently can cut little fingers, so please stick with the fake aluminium variety for these activities). Regardless of what you call it, it’s most probably the silver roll that’s lying in your third or fourth kitchen drawer. You can tear it, scrunch it, wrap it, unwrap it, draw or paint on it, make indentations in it, glue it, cut it and lots more. It costs only a few cents per metre, is seemingly always on hand and is so shiny! What’s not to love??? I asked JJ if she would like to play with some foil (again) and she jumped at the opportunity. We love shiny things in our house! This time, JJ suggested making a starry night sky. Ummm, sure! Great idea JJ! dark construction paper (but any kind of dark paper or cardboard would do). I provided her with a sheet of foil, so that she could try tearing the foil up into little pieces herself. Initially JJ tried the pulling apart method. It’s hard work doing it that way! And ta da! Here’s her foil inspired starry night ready for the pool room! 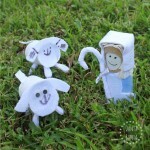 I love that it was JJ’s idea – she was very proud of her creation. 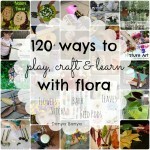 For more inspiration, here’s another 19 ideas for fine motor fun that can be had with this awesome material…. 2. You could snaz up some pasta like Lessons Learnt Journal did. 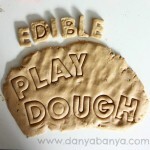 (And bonus points if you use the pasta for more fine motor fun afterwards). 3. 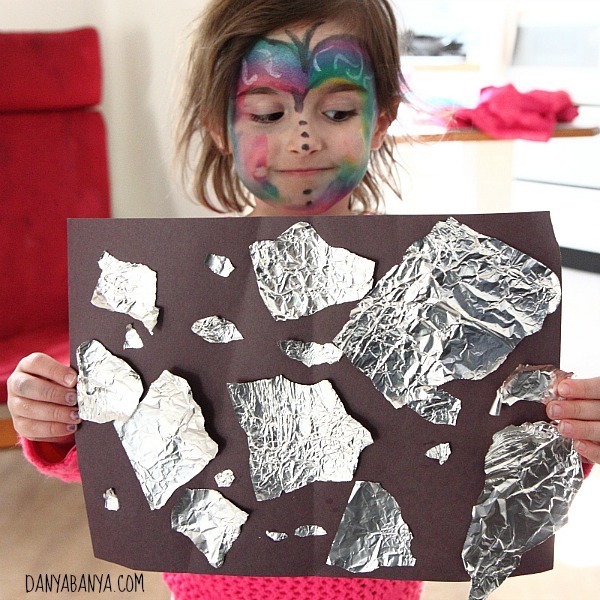 Scrunching is a great for strengthening hand muscles, so why not get the kids to scrunch up some space rocks to go along with these awesome Space Crazy free printables from Picklebums. 4. You can twist a foil spider web (or perhaps make a headset) like we did last month. 6. George from Craftulate combined foil with a bunch of other common items to play this fun train-themed unwrapping game with her toddler. 7. Happy Whimsical Hearts made some awesome foil fish, using another common kitchen item to add scales for texture. 10. And here’s a snazzy way from The Craft Train to make easy fancy frames that will encourage creativity. 11. 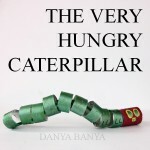 Powerful Mothering shows how the kids can make a recycled swimming foil fish hanging mobile. 12. 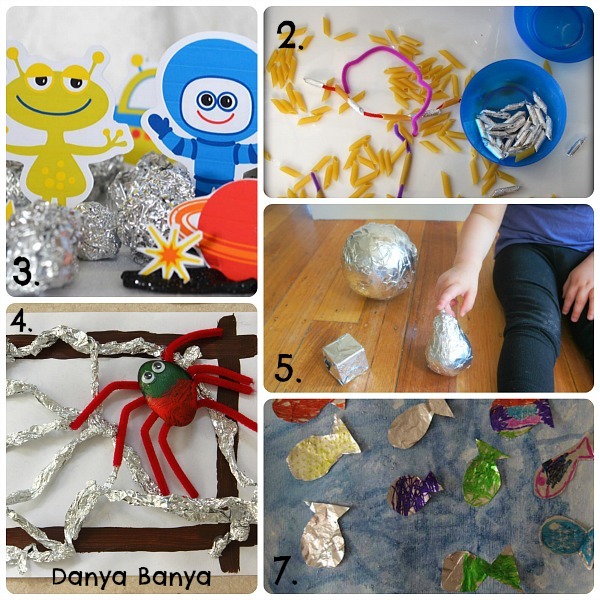 Laughing Kids Learn has a great post on focusing on process over product when exploring tin foil with toddlers. 13. Ness from One Perfect Day set out a simple invitation to play with foil and blocks which proved to be a big hit with her son. 14. 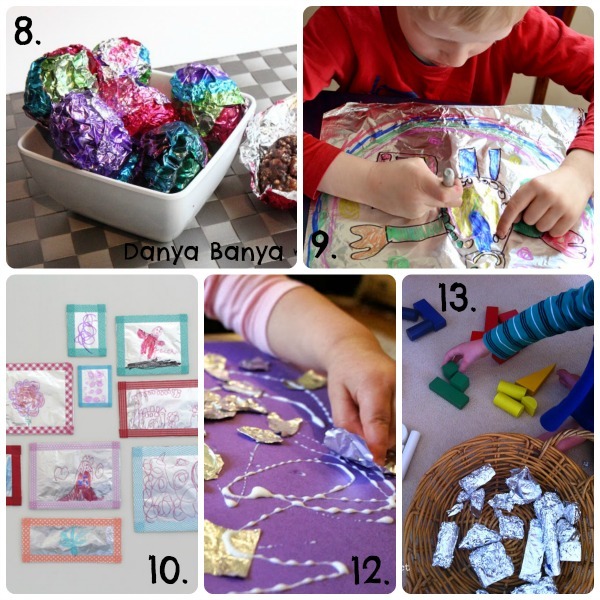 Lots of different fine motor activities in this How to Catch A Star post from In The Playroom. 15. 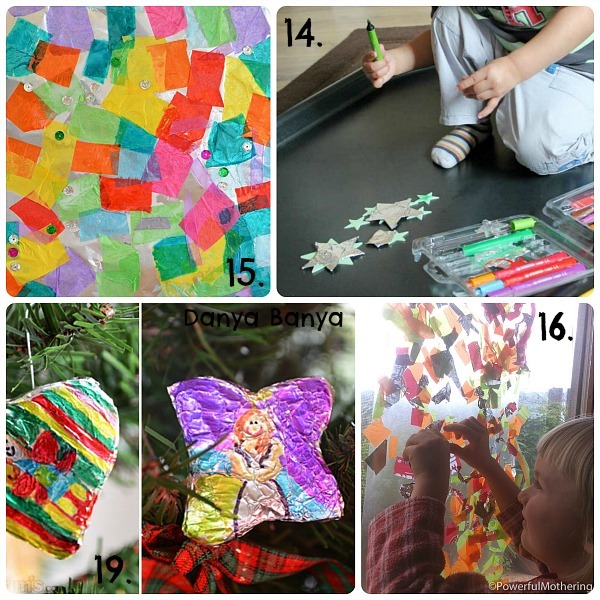 Toddlers can also make a shiny and colourful foil collage like the littlest of the Picklebums did. 16. Or try a foil and contact paper collage like this one from Powerful Mothering. 19. Of course Picklebums (the Queen of foil) has some easy (and really effective) foil Christmas decorations as well. 20. 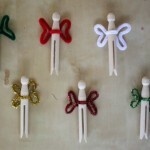 And Learners in Bloom has a great idea for pin poking Christmas shapes in foil. You could do this with other shapes as well. Pretty! And be sure to pop over to Mama Miss tomorrow to see the next instalment of this series, B is for…..
* This post contains Amazon affiliate link(s). An affiliate link means I may earn a (tiny) commission if you make a purchase through my link, without any extra cost to you. It helps to keep this little blog afloat. Thanks for your support. 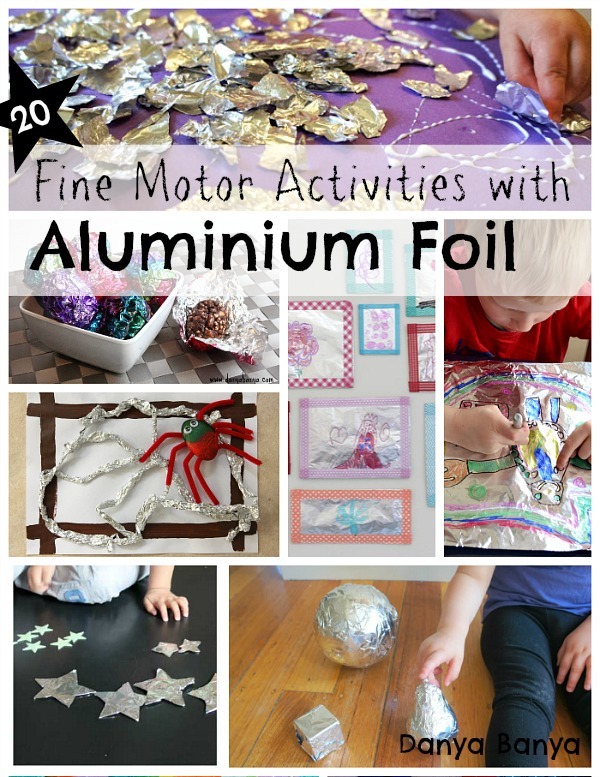 So many fab ideas… we love playing with foil around here! Great ideas! Can't wait to give a few of them a try! F is for FUN :). Love your ideas, as usual!